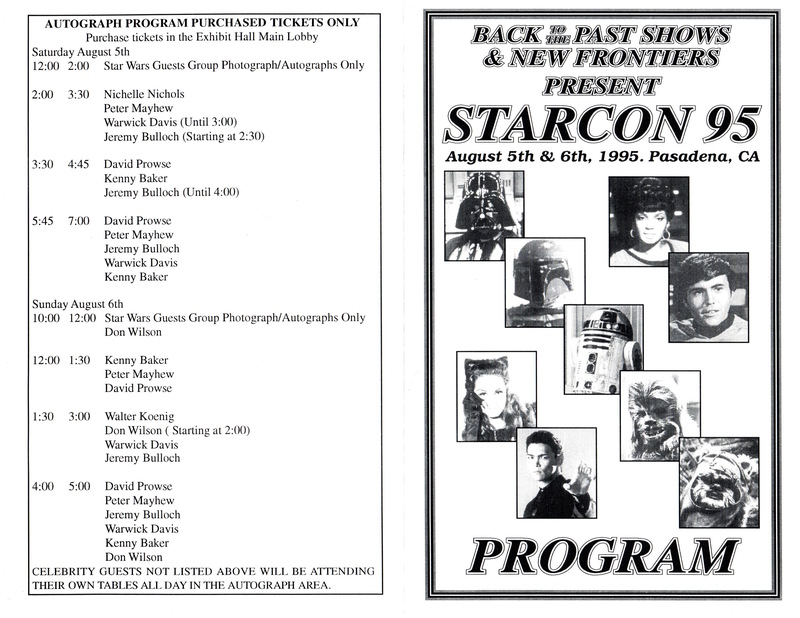 StarCon 95 was a Sci-Fi/Horror/Fantasy Convention that took place in Pasadena, CA, on August 5 and August 6, 1995. 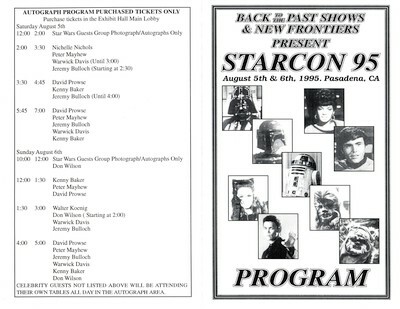 Ron Harper was a guest that year. 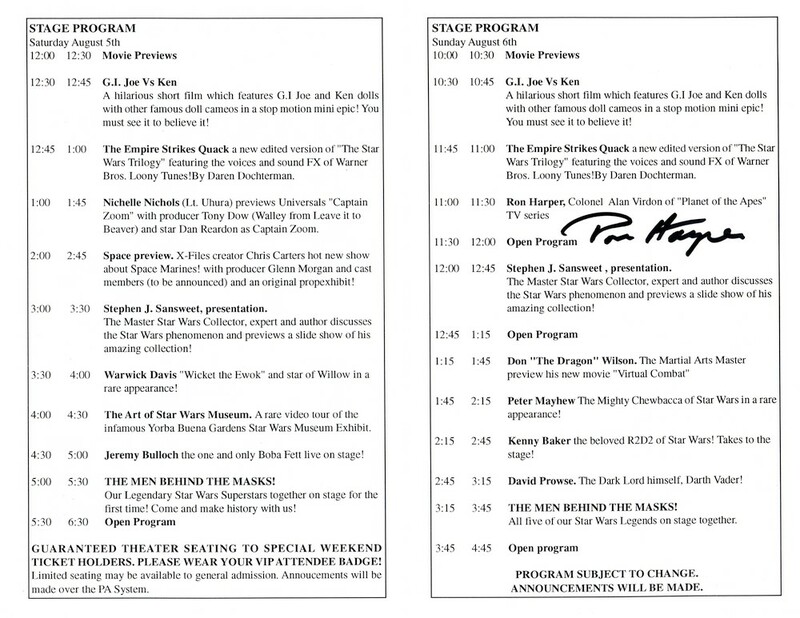 Below, you'll find scans of the StarCon 95 program, signed by Ron Harper. 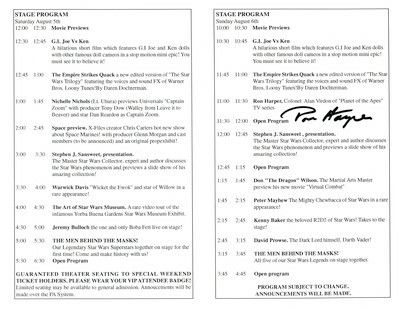 Click on an image to view a larger version, or use the links to download high-res versions.